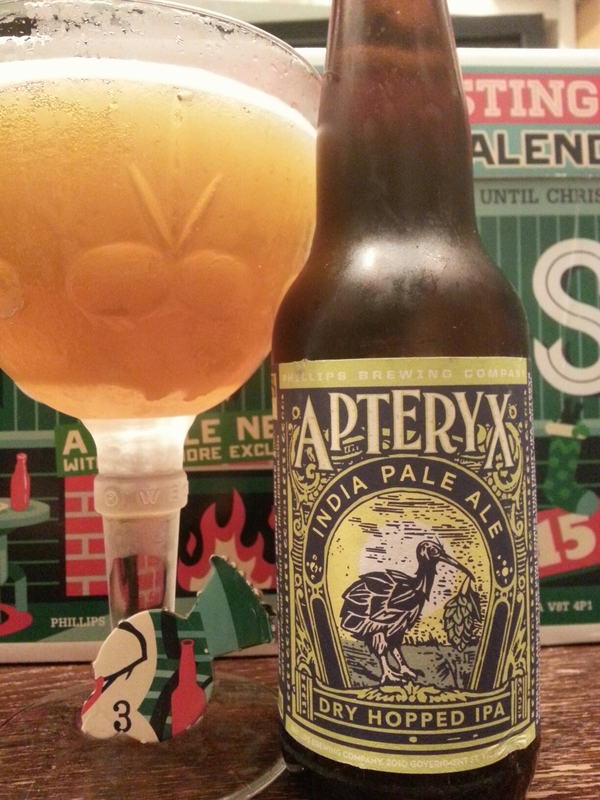 Phillips Snowcase 2015 Day #3 – Apteryx IPA | Justintoxicated. 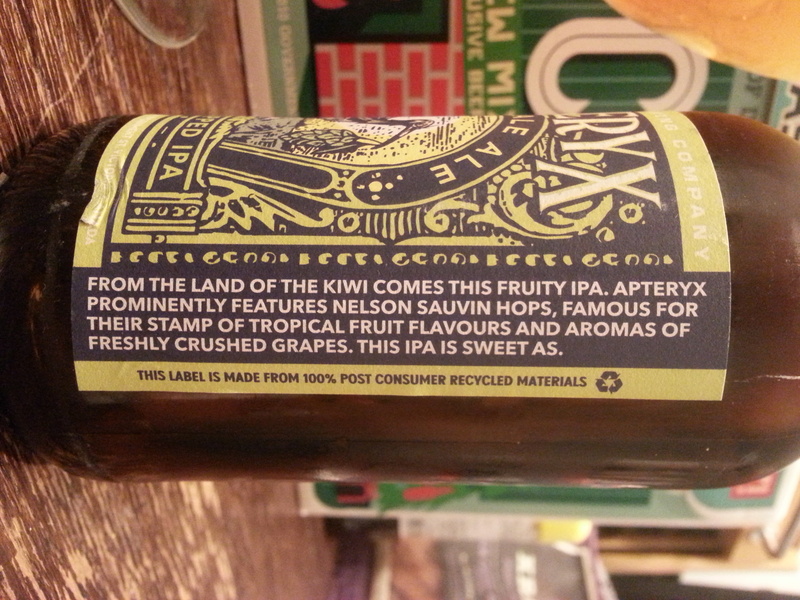 “From the land of the kiwi comes this fruity IPA. Apteryx prominently features Nelson Sauvin hops, famous for their stamp of tropical fruit flavours and aromas of freshly crushes grapes. This IPA is sweet as. Visual: Pours tangerine orange a small dissipating head, thin hazy layer of retention, lots and lots of singular steady streams. Finish: rounded dry grassy bitter hops, clean finish. Summary: Bursting with big stonefruity-tropical flavour. Overall quite good though wished for more sustained body in late mids to finish. A memorable beer from Phillips that I’ve had in awhile.